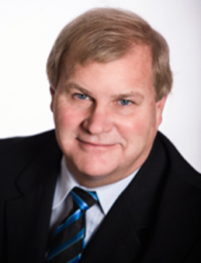 John Knubley became Deputy Minister, Ministry of Innovation, Science and Economic Development in 2012, prior to which he was Deputy Minister of Agriculture and Agri-Food. Knubley’s role in public service began in 1980 at the Economic Council of Canada. Since then, he has acted in various roles including Deputy Minister of Intergovernmental Affairs at the Privy Council Office, Associate Deputy Minister for Transport, Infrastructure and Communities as well as Associate Deputy Minister of Natural Resources. Knubley holds a Bachelor of Arts from Yale University, a Master’s of Philosophy, Politics and Economics from Oxford University, and a Master’s degree in Public Administration from Harvard University’s Kennedy School of Government. He also received a post-graduate diploma in Nice, France, from the Institut Européen des Hautes Études Internationales. Knubley supports the development and continuation of government innovation, creating a plan that fosters growth, sustainability, and social impact to inspire change. Prior to his current role in government, from 1994-2002, Knubley served as Vice-President of the Atlantic Canada Opportunities Agency; Director of Operations, Intergovernmental Affairs in the Privy Council Office; Assistant Deputy Minister of Corporate Affairs and of Planning and Employment Insurance at Human Resources Development Canada; Director of Strategic Investment Analysis and Director of Microeconomic Analysis at Investment Canada.